Whether you’re looking to indulge yourself in an everything bagel loaded with lox, or a lightly-buttered and lightly-toasted cinnamon bagel, or maybe just a classic poppy seed with cream cheese, Utah has it. From classic, old-school bakeries to modern bagel shops, these seven spots serve up some of the best ring-shaped goodness in the state! A long-time favorite amongst Salt Lake City locals, Rich’s Bagels doesn’t serve up bagels that look like they came from a conveyer belt. No, this place is all about authentic, quality bagels with the most delicious of sweet and savory accompaniments. With two locations in Park City, Park City Bread & Bagel claims to have the best bagels in Utah. Although a pretty grandiose claim, this could very well feel 100 percent true after a lengthy day summer or winter day in the mountains. The options are more diverse than other Utah bagel shops, including everything from wheat everything to sundried tomato. Ryan’s Bagel Café in Sandy is one of Utah’s lesser-known bagel shops, though it doesn’t necessarily need to blow its budget on large-scale advertisements. The shop has made a name for itself by word-of-mouth. With sizable bagel sandwiches to fulfill both breakfast and lunch cravings, Ryan’s Bagel Café is quaint, relaxing, and a delicious change of pace. No, Feldman’s Deli’s menu is not based on the bagel. That said, amidst it’s other offerings, the classic Jewish deli does serve up a mean bagel. If you want a bagel and some other interesting sides, try the brisket and matzo ball soup. Open seven days a week, this is Utah’s premier location for gourmet, New York-style bagels. 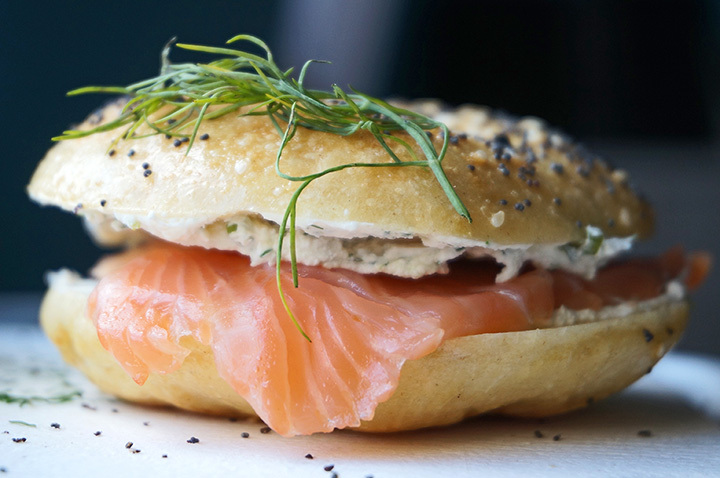 Choices range from the classic sesame bagel to the “Lox & Loaded” bagel sandwich. Skeptical the joint’s bagels could be at all like those you’d find in New York? Think again. Selling everything but the kitchen sink, Wasatch Bagel and Grill is nevertheless known for their namesake: The bagel. The offerings are simple and straightforward, but that’s part of what makes them so good.